Are you considering driving a motorhome? You will need to check the entitlement you hold on your driving licence against the size of the motorhome! To make sure you are driving a motorhome legally. You will need to check that your driving licence allows you to drive a motorhome. The categories shown on your licence allow you to drive vehicles up to certain weights, known as the Maximum Authorised Mass (MAM). You can drive vehicles over 3.5 tonnes MAM but less than 7.5 tonnes (with or without a trailer up to 750 kilograms). To tow a heavier trailer you will need category C1+E entitlement. You can drive vehicles up to 3.5 tonnes MAM, together with a trailer not exceeding 750 kilograms. To tow a heavier trailer you will need category B+E entitlement. before 1st January 1997 (shown as C1+E (79) on the licence). You are limited to driving such combinations up to a combined weight of 8.25 tonnes: for example, motorhome six tonnes, trailer 2.25 tonnes. after 1st January 1997 you are entitled to drive combinations up to 12 tonnes. In weight where the MAM of the trailer exceeds 750 kilograms but doesn’t exceed the unladen weight of the towing vehicle. You can drive vehicles over 7.5 tonnes MAM. To draw a trailer over 750 kilograms you will need category C+E entitlement. Motorhomes of this weight can’t be driven on a standard category B (car) licence, irrespective of when that category B entitlement was obtained. 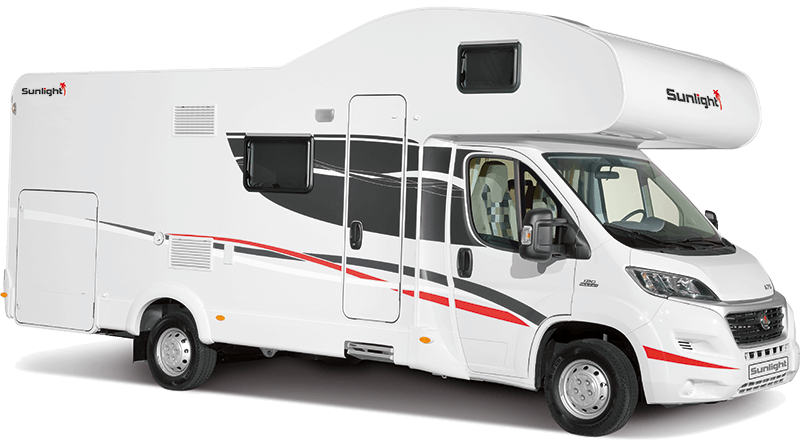 A motorhome being registered in the UK cannot be more than 12 metres long and 2.55 metres wide, unless it has an Individual Vehicle Approval (IVA) certificate. A vehicle with an IVA can have a maximum width of 2.6 metres. There is no height limit but if the motorhome is over three metres tall then the height must be on a notice visible to you as the driver. Who Sets the Current Limits? The Department for Transport (DfT) imposes the current limits that are contained in the Road Vehicles (Construction and Use) Regulations 1986 (as amended). Why Current Limits Were Set? A number of factors were taken into consideration. Such as existing restrictions in different countries, vehicle manoeuvrability and typical road specifications. The overall size of large vehicles can create an unacceptable safety hazard for adjacent property, vehicles and pedestrians, especially for oncoming traffic. Whose responsibility is it for the motorhome to meet the law? Anyone selling or offering to supply a motorhome is responsible for making sure that the size of the vehicle is within the law. It is an offence under the Road Traffic (Northern Ireland) Order 1981 if a motorhome that is too long or too wide is offered for sale. As a customer, it is a good idea for you to be aware of the law, as ignorance of the law is not a defence in court. Your insurance cover may also be invalid if your vehicle doesn’t meet the requirements of the law. Why are larger vehicles allowed in North America but not in Europe? The road traffic laws in Europe have many differences to those in North America! On a variety of subjects, not only maximum length and width. Roads in North America are generally wider than in Europe and property is often set back further from the road. Make sure you’re driving a motorhome legally!